Yash Construction is a real estate company. It is specialized in construction of residential and commercial complexes as well as all type of construction. 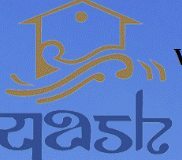 Yash Constructions is a pune based company. However South Maharashtra is company’s major operational area. In real estate sector company has about 25 years of experience. In company’s upcoming projects YASH AVISHKAR, YASH FLORENCIA and YASH ORBIT are latest in pipeline.